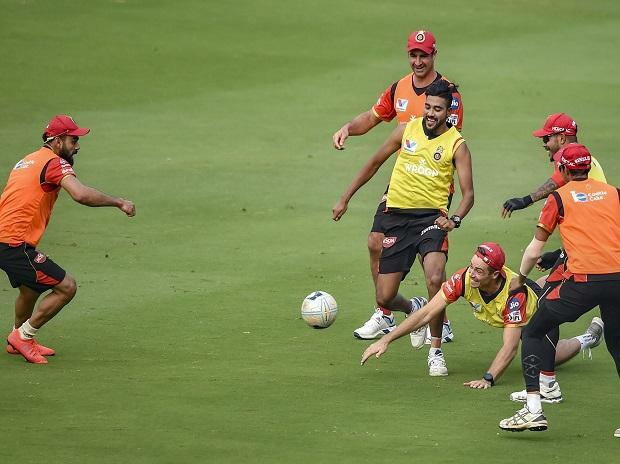 In the match 11 of VIVO Indian Premier League 2019 (IPL 2019) Sunrisers Hyderabad will host Royal Challengers Bangalore at the Rajiv Gandhi International Cricket Stadium in Hyderabad on Sunday. RCB had a dismal start with the team managing just 70 runs in their opening match against M S Dhoni-led Chennai Super Kings, while victory just slipped out of their hands in their second match against Mumbai Indians. RCB is yet to win a match in this edition of the tournament. On the other hand, SRH bounced back against Rajasthan Royals after KKR defeated in their first match. Kane Williamson is back in Hyderabad side and David Warner looks dangerous than ever, hence, a strong show looks likely as the two teams collide. The might of RCB's batting line-up, including the likes of AB de Villiers and Virat Kohli, will be tested against the magical spin of Rashid Khan and accuracy of Bhuvneshwar Kumar. With the inclusion of captain Kane Williamson, SRH is stronger than ever, his absence was felt in SRH's first match as the team lost the match against KKR. In their second match, Kane Williamson held the charge but the highlight was David Warner's quick 69 runs off 37 balls. Jonny Bairstow is in form too and Vijay Shankar is not just bowling well, he is contributing with the bat too which was seen in their last match as he played a perfect cameo, hitting 35 off just 16 balls. SRH will also have the advantage of home ground and RCB, after losing two matches, would find it difficult to challenge Hyderabad in their turf. RCB miserably lost the first match against CSK but the team showed signs of a fight in the second match against Mumbai Indians, however, they were just unlucky as the umpire did not signal the no-ball as Lasith Malinga bowled the very last ball of the match when RCB needed 7 runs. Virat Kohli faces a tough challenge as despite after a good batting show by his team, the bowling side lacks flair. Yuzvendra Chahal is still an exception as he scalped four wickets against Mumbai but the pace-battery that includes Umesh Yadav, Navdeep Saini, Mohammed Siraj and Colin de Grandhomme leaking too many runs. RCB playing 11: Parthiv Patel (wk), Virat Kohli, Moeen Ali, AB de Villiers, Shimron Hetmyer, Shivam Dube, Colin de Grandhomme, Navdeep Saini/ Washigton Sundar, Yuzvendra Chahal, Umesh Yadav, Mohammad Siraj. SRH vs RCB match live streaming will be available live on Star Sports 1 HD, Star Sports 1 in English Commentary and Star Gold in Hindi Commentary. One can also live stream the SRH vs RCB match on Hotstar app and website. SRH squad: David Warner, Jonny Bairstow, Manish Pandey, Deepak Hooda, Shakib Al Hasan, Vijay Shankar, Yusuf Pathan, Rashid Khan, Bhuvneshwar Kumar, Sandeep Sharma, Siddarth Kaul, Kane Williamson, Martin Guptill, Ricky Bhui, Shreevats Goswami, Wriddhiman Saha, Shahbaz Nadeem, Mohammad Nabi, Abhishek Sharma, Basil Thampi, Billy Stanlake, K. Khaleel Ahmed, T. Natarajan. RCB Squad: Virat Kohli, AB de Villiers, Parthiv Patel, Marcus Stoinis, Shimron Hetmyer, Shivam Dube, Nathan Coulter-Nile, Washington Sundar, Umesh Yadav, Yuzvendra Chahal, Mohammed Siraj, Heinrich Klaasen, Moeen Ali, Colin de Grandhomme, Pawan Negi, Tim Southee, Akshdeep Nath, Milind Kumar, Devdutt Padikkal, Gurkeerat Singh, Prayas Ray Barman, Kulwant Kejroliya, Navdeep Saini, Himmat Singh.